I've enjoyed having aquariums and terrariums in my home on and off for 4 decades, in which I've kept everything you can imagine - from crayfish and frogs, to turtles and lizards, to sea anemone and Oscars. Fish-keeping is a knowledge-based hobby. Yes, you can keep a bowl of goldfish or a 10-gallon tank of guppies to watch and enjoy without learning much about the hobby. 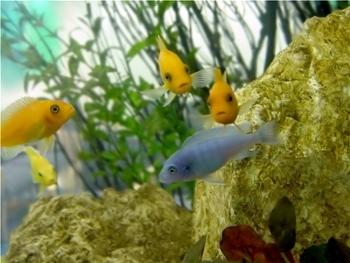 But with anything larger or more exotic than that, you'll enjoy your aquarium more - and get better results (cleaner water, healthier and more vibrant fish) - by increasing your knowledge of fish-keeping in general and the specific species you keep in particular. Aquariumdetective.com is your online resource for hobbyists who want to maximize enjoyment of their tanks and have their fish live longer, healthier lives. Here you will find articles, books, tips, and supplies to help you get the most out of your aquariums, which - if maintained correctly - can give you as much pleasure and fun for life as my aquariums give me.